Subscribe to The Tech Ranch YouTube Channel to learn about all the cool and fascinating gadgets covered by the “Guru of Geek” Marlo Anderson and Rockin’ Dave Blair at CES! Watch the Guru of Geek play ping pong against a robot, learn how to cook using the sun or find the closest self-driving grocery store near you! This year’s show left no idea behind! The “Guru of Geek” will be on the floor at the Las Vegas Convention Center for CES 2019! Watch for daily reports from the Guru of Geek and his team as well as live episodes of The Tech Ranch, streaming programming on Twitter and Facebook and recorded interviews compiled for podcasting! As always, Marlo’s passion for emerging technology and startups will bring unique and fun interviews from the people creating these amazing products. This year marks Marlo’s 16th year attending CES and the sixth year of CES broadcasts on The Tech Ranch. 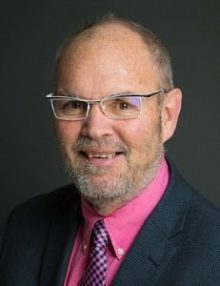 Dave Blair is a business and policy strategist, facilitator and consultant with over 15 years’ experience cultivating relationships with transportation, automotive and clean energy enterprises and organizations. Dave has authored numerous publications on automotive, energy and power generation technologies. “Rockin” Dave Blair is a frequent guest host on The Tech Ranch while “Guru of Geek,” Marlo Anderson is called away on assignment. This is Dave’s third year attending CES on assignment for The Tech Ranch. Check back often for updates! Use the “Contact Us” form if you are interested in having the “Guru of Geek” connect with your team during his coverage of CES.